I'd have to say, the best thing about the Bestseller Puzzle Reading Challenge is the fun I'm having, getting out of my usual reading ruts. Ordinarily, I love 19th-century British fiction (Austen to Hardy), popular science, adventure/survival nonfiction, and history. I'm not a big fan of sci-fi/fantasy, mystery, or historical fiction. And, having three teenagers at home, I haven't been able to read YA with much enjoyment for a while now. Uncle Tom's Cabin (3 stars). A 19th century bestseller with such historical impact is certainly worth reading, if for its place in history, if not for its literary merits. My first encounter with UNCLE TOM'S CABIN came from the 1956 movie THE KING AND I with Yul Brynner, where they do a ballet version of the story, so wide-reaching was the book's influence. Stowe's writing share all the worst characteristics of the 19th century. There's piety thicker than custard, heavy-handed addresses to the reader (she actually ends the book with a full-on sermon directed at us), generalizations about the African race which are embarrassing even when meant to be sympathetic, and lengthy descriptions. Remember that dreadful scene in A TALE OF TWO CITIES where Lucy Manet blubbers over her imprisoned father's fate, crying repeatedly, "Weep for it! Weep for it!"? If you cringed your way through that passage, you'll find a lot of that sentimental business going on in UNCLE TOM'S CABIN. Stowe makes Dickens appear restrained. Eliza's escape makes for the most interesting part of the book, but it alternates with Tom getting sold South and not appearing, frankly, to miss his family much because he's so busy with his Bible and the angelic Little Eva, whose goodness will cause your eyes to roll so many times you risk permanent damage. And then Tom's Christ-figure-ness even tops Little Eva's in unbelievability. On a side note, this is the second book Alexa read me in her mechanical tones. I learned that every semicolon gets read aloud as the word "semicolon," and every "think on't" gets read as "think on T," and every "ha ha ha" becomes "Ha. Ha. Ha." Enough to make you laugh along with the characters. I'm glad I read (or listened to) this, but I can safely promise it won't be on the re-read list. The Prime of Miss Jean Brodie (3 stars). This was an odd and original book about a private-girls-school teacher in the 1930s who grooms six students of her preteen class into "her set," the "Brodie set." And I do mean grooms. Miss Jean Brodie has no interest in teaching Sandy, Jenny, Rose, Eunice, etc. the standard curriculum; instead she tells them stories of her travels, her love life, her opinions on fascism, and so on. 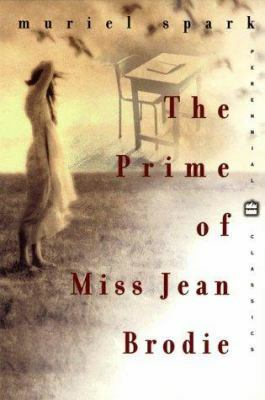 As the girls grow, they go from idolizing Miss Brodie to finding ways to distance themselves or to resent her influence. There are some funny bits, like Sandy's description of Calvinism: "God had planned for practically everybody before they were born a nasty surprise when they died...he having made it [His] pleasure to implant in certain people an erroneous sense of joy and salvation, so that their surprise at the end might be the nastier." Miss Brodie is melodramatic and somewhat tiresome, but having had a fourth grade teacher who was colorful and volatile and dramatic and charismatic, I thought Muriel Spark captured the situation exactly. 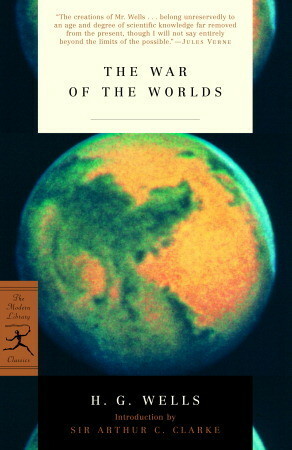 The War of the Worlds (4 stars). My first H.G. Wells book! I'm eager to read more from him because this book was well-paced, imaginative and yet very real in its characterization. I can see why it became a classic and inspired so many adaptations. I also enjoyed getting on Google Maps and watching the progress of the main characters and the Martians, since Wells grounded his story in the very place he lived. Hoping I can get my 15YO son to read it. It's rather gory for 1897 (or so), but nothing we aren't used to seeing/hearing about in books today. 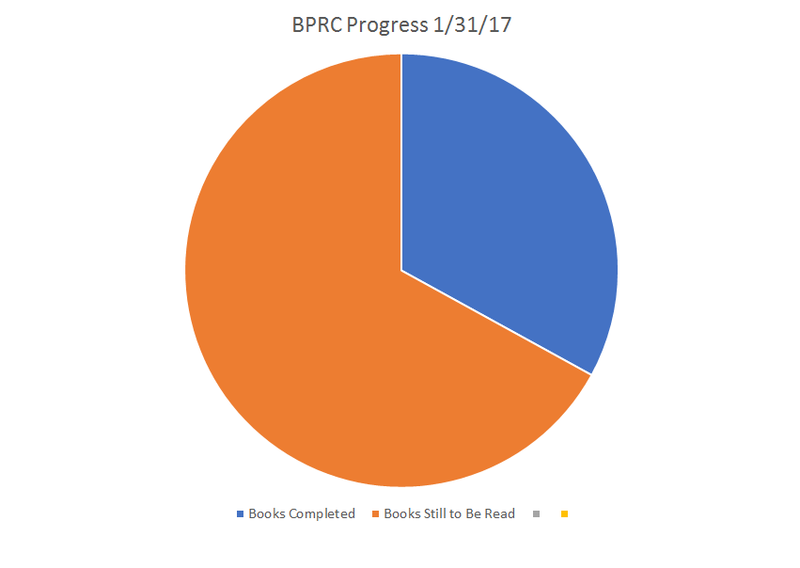 I'd say this and Tarzan were my favorites from this batch of BPRC books. Tarzan of the Apes (4 stars). This book was great fun! Pulp fiction at its most entertaining, and it made me realize it has never actually been adopted faithfully. For one thing, Tarzan reads and writes English but can't speak it, and when he finally is taught to speak, it's firstly in French! Shouldn't he be saying, "Moi, Tarzan--toi, Jane" in the movies? I can see why Burroughs wrote a sequel--this one ends abruptly with him not yet having gone to England and with Jane set to marry another. I immediately downloaded TARZAN RETURNS, only to find he's already making eyes at some other woman and somehow maintaining his godlike muscle tone after years out of the jungle. Pass. 1. Ignore the racial attitudes of 1912. If you like a politically correct Tarzan, watch the latest movie adaptation, which is so racially we-are-the-world that it makes NO sense for the time in which it was set. Even Harriet Beecher Stowe, who deeply, deeply believed in equality of the races, fell into lots of embarrassing moments in UNCLE TOM'S CABIN because she was a product of her time. 2. Along those lines, ignore the character of Esmeralda. Embarrassing! She gets the racial comic relief role. 3. 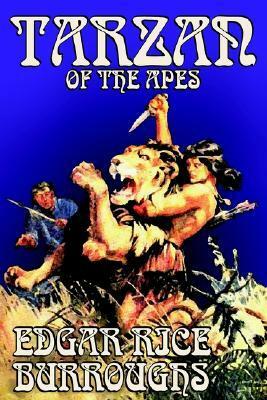 The youth Tarzan kills arch-enemy lion Sabor, but then Sabor shows up later attacking Jane??? I don't know what happened here. I even went back and checked if the problem was with my brain. It could also possibly be with the free Kindle edition. In TARZAN RETURNS, the lion gets called Numa when he remembers killing it. So confusing. 4. Tarzan finds the cabin his parents built before they died, but it takes him a long time to figure out there's a door and a way in because he thinks the door is part of the wall. Later, the lion sees the same closed door and instantly knows it's a way in. Of course, Tarzan could be a dummy because he spends tons of time exploring the cabin and spending time there, and he STILL finds stuff he didn't notice before, years later. 5. People sleep on the jungle floor and hang out in the trees all the time and never get a single bug bite. Amazing. Fast-paced, thrilling, and Jane only faints a couple times. Enjoy this one.